My first collection of poems, Inscapes & Horizons, was published by St Albert's Press in 2008 and my second collection, Thumbprints, was published by Oversteps Books in 2015. I have work in magazines including Scintilla, Other Poetry, The Interpreter's House and in Poetry News as well as in various anthologies including The Poet's Quest for God: 21st Century Poems of Faith, Doubt and Wonder published in 2016. 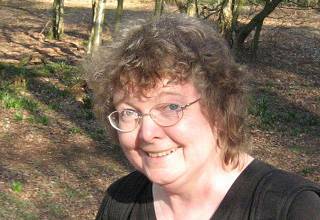 I was shortlisted for the Ware Poets Open Poetry Prize in 2010, for the Bedford Open Poetry Competition in 2011 and for the Frogmore Poetry Prize in 2011 & 2014. I was a prizewinner in the Troubadour International Poetry Prize in 2012 and commended in the Cinnamon Press Single Poem Competition 2013 and in the Poetry Society Stanza Competition in 2012 & 2014. I was selected in the Ver Poets Open Competition 2015, highly commended in the Roundel Poetry Competition 2015, won second prize in The Enfield Poets International Poetry Competition 2015, won 1st prize in the Federation of Writers (Scotland) Vernal Equinox Competition 2016 and was highly commended in the Ver Poets Open Competition 2017, selected in the Ver Poets Open Competition 2018 and joint runner-up in the Poetry Society Stanza Competition 2018. I was invited to write a poem for the Windows into the Heart exhibition in Room 104, Brockley in May 2013 and also took part in the larger exhibition in the House of Prayer in East Molesey in July 2013. Some of these poems are on the Contemplative Spirituality Website. As a child I lived in many places including Wales and the north of England. I now live in the Mole Valley in Surrey with my husband. I studied at Bristol University and have a BSc Honours Degree in Physics. I have worked as a teacher, a research assistant, in local government and as a science technician. I have always enjoyed writing. 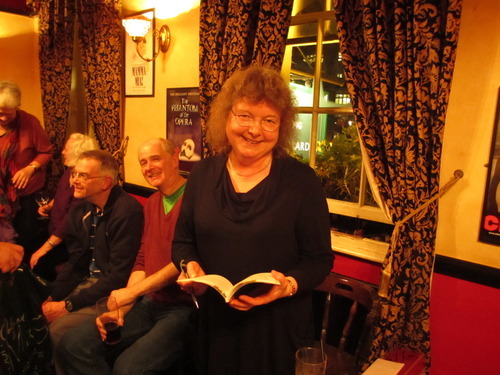 I take part in courses and seminar groups at the Poetry School and belong to the Mole Valley Poets. The book launch for Helen Overell's second collection, 'Thumbprints'. published by Oversteps Books was held on 25th February 2015 at The Queen's Larder, Bloomsbury, London. 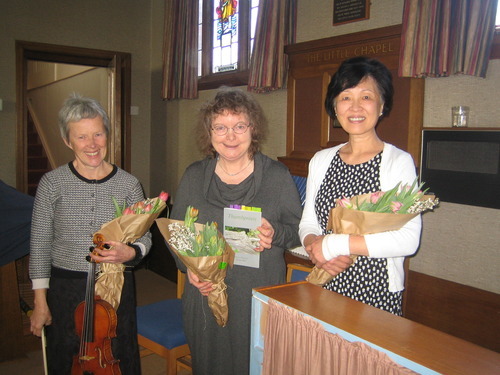 A poetry and music afternoon was held on 20th March 2015 at the Little Chapel, United Reformed Church, Dorking, Surrey. Lynda Chang and Brigitte Furze played piano and violin.